Sri Lanka celebrates National Nutrition Month every June. This year, the Ministry of Health, together with Save the Children’s Good Nutrition on Tea Estates (GNoTE) project, conducted programs in the estate sector to promote awareness and encourage the adoption of optimal nutrition practices. This was a part of an ongoing campaign to raise awareness and ultimately improve nutrition practices among pregnant women, new mothers, and children on the country’s tea estates. [Colombo, June 1] – The number of Sri Lankans affected by weather-related disasters has hit more than 1.5 million as the nation simultaneously battles crippling drought in the north and east of the island and deadly flooding in the south. 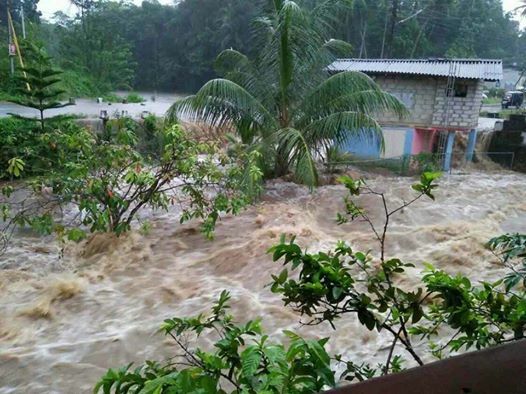 May 27, 2017 – Communities devastated by the flooding and landslides that have so far killed 100 people in Sri Lanka could have another battle on their hands after almost 53,000 dengue fever cases were recorded across the country since the start of the year. A Health Center in St. Coombs Estate in Thalawakelle, Nuwara Eliya upgraded by Save the Children in partnership with Tea Research Institute (TRI) was declared opened by the Minister of Plantation, Mr. Naveen Dissanayake, Country Director of Save the Children in Sri Lanka, Mr. Chris McIvor and Deputy Country Director of Save the Children, Mr. Julian Chellappah on 21st of January. The opening ceremony was held during an Awards Ceremony of TRI which was held under auspices of His Excellency the President of Sri Lanka, Mr.
Save the Children International is a company limited by guarantee, registered in England and Wales with company number 3732267 and a charity registered in England and Wales with charity number 1076822. Its registered office is St Vincent House, 30 Orange Street, London, WC2H 7HH.